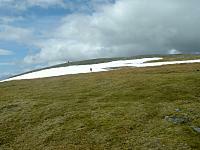 Tom Buidhe is a gently rounded summit on a high moorland plateau. The mountain has only gentle slopes but to the S lie the cliffs of Canness Glen, to the N the steep rocky slopes into Glen Callater and to the SE, Glen Doll is also flanked by steep and rocky slopes. 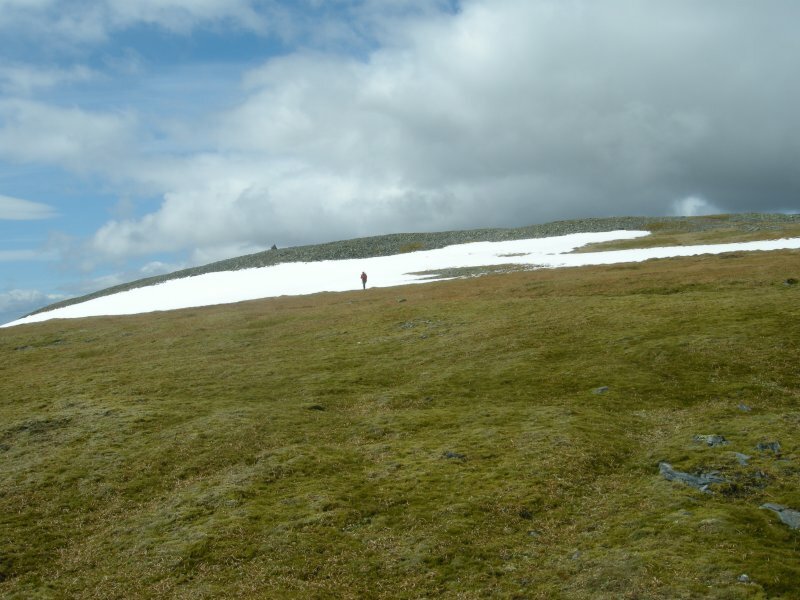 Access to Tom Buidhe is normally from Glen Doll to the SE by the path known as "Jocks Road" or from Carn a Claise at the W limit of the plateau. 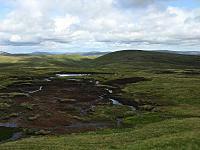 Moorland Terrain, few distinct landmarks. The Munro (honest!) Tom Buidhe en route from Cairn of Claise via the boggy Ca Whims. Tom Buidhe viewed from the eastern slopes of Cairn of Claise. The summary information of one or more ascent routes that include Tom Buidhe. 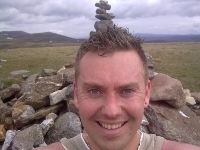 1 1020 m 19.02 km 5.5 hrs Cairn of Claise, Carn an Tuirc, Tolmount and Tom Buidhe A moderate length route on easy terrain, after the initial steep ascent. 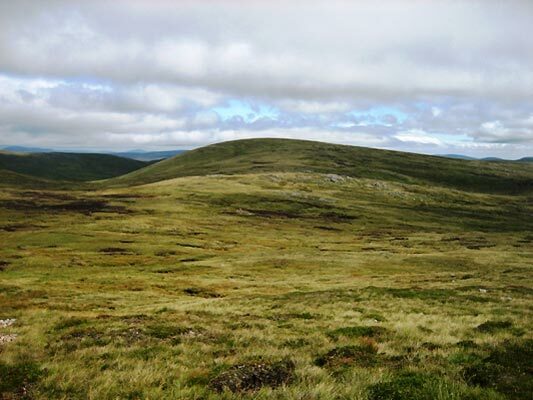 Note that navigation on the high moorland plateau can be difficult, particularly in poor visibility. 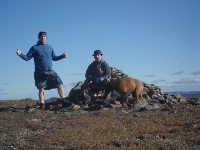 Me Karl and Oscar on summit, 7/10/12. Post a few words about Tom Buidhe or read what others have had to say. 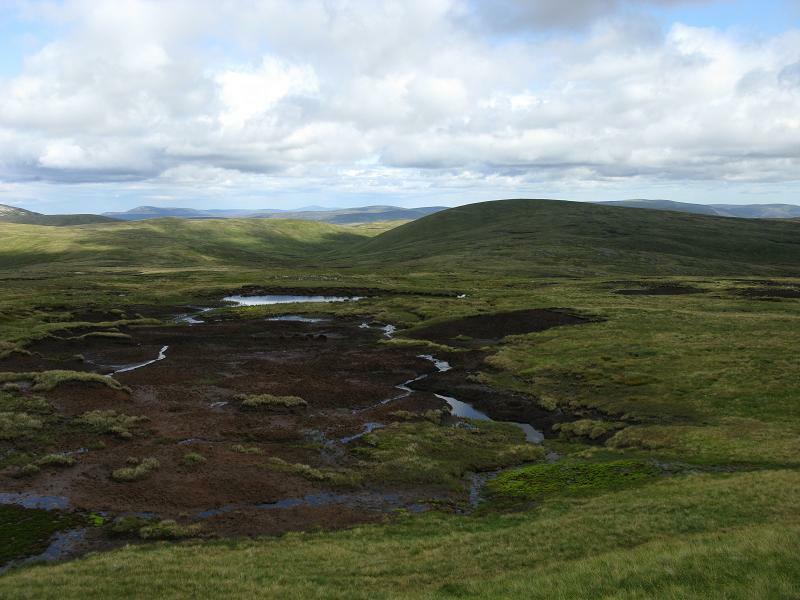 It looks like raised moorland but you tend to forget how high up you are after doing the other 3 Monro`s in this walk.Short SE walk from Tolmount acroos some boggy ground.The return route to Glen Clunie via Ca Whims and the littered scrap yard of Coire Fionn completes the day. OK - not the most exciting Munro going but if you are doing a round it's a great walk once you're on the plateau if the weather is good. 6 in a day! 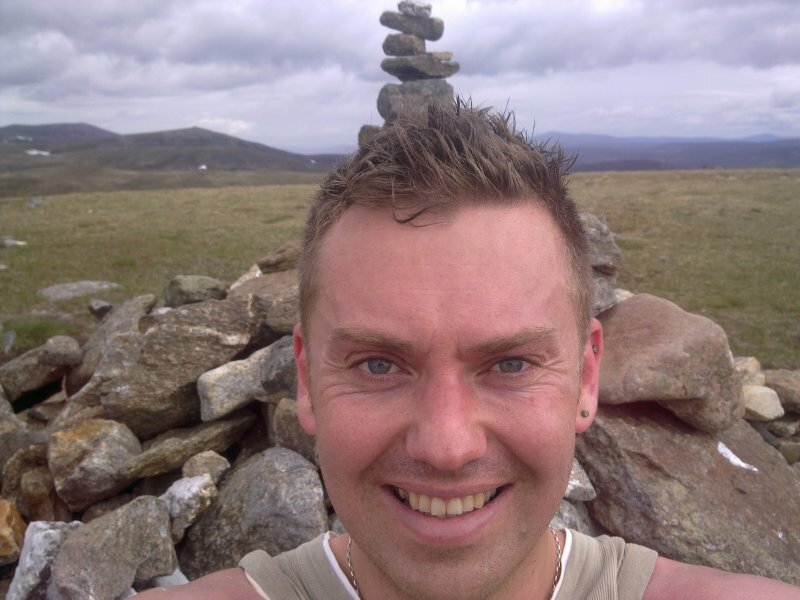 Started at the car park at the Glen Doll reserve, traversed up Jocks Road and climbed Tolmount, then onto Carn An Turic, Carn of Claise and finally Tom Buidhe. 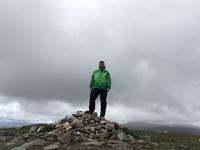 Sat at the cairn on Buidhe deciding what to do next an dmade the decision to avoid Jocks Road going back and traversed across to Mayar and finally Dreish. Absoluteky exhausted after the decent back to the car park but buzzing with satisfaction. Great day with my mate Steve, although weather was great there is little to make me want to go back, nothing technical here....except trying to find the unassuming 6 bumps.